Replacement Theology - #20| Was the Mystery of God Foretold in the OT? Is Replacement Theology Biblical, or, is it about Fulfillment Theology? Replacement Theology| Was the Mystery of God Foretold in the Old Testament? While Dispensationalists insist that the Mystery of God was not foretold anywhere in the OT, the NT is unequivocal in asserting that the Mystery of God was in fact part of God’s “eternal purpose” from before the foundation of the world (Ephesians 1:3-12). As we have seen, Paul undeniably taught that his Gentile mission was foretold by even Moses (Deuteronomy 32:19f–> Romans 11). We have examined Paul’s declaration that his preaching of the mystery was according to the commandment of God, and that he preached that mystery from the “prophetic scriptures” i.e. the Old Covenant. We should not overlook the fact that in Romans 15, Paul justifies his Gentile mission by appealing directly to Isaiah 11, where it is taught that through the restoration of Israel, the Gentiles would come to the Ensign. While there are many OT texts (I particularly love Isaiah 49:6f) that we could appeal to that demonstrate that the Mystery of God was in fact foretold in the OT, for brevity, I will give only one more. That text is Ezekiel 47:21-23. The fact is that if the OT predicted Jew and Gentile equality in Christ, then the charge of Replacement Theology falls to the ground! 1. Physical circumcision will be mandated once again. See our discussion in earlier installments. 3. It would demand a restoration of the Levitical / Zadokite priesthood. Yet, Hebrews is emphatic that the priesthood of Jesus demanded the removal of that priesthood! “Thus you shall divide this land among yourselves according to the tribes of Israel. 22 It shall be that you will divide it by lot as an inheritance for yourselves, and for the strangers who dwell among you and who bear children among you. They shall be to you as native-born among the children of Israel; they shall have an inheritance with you among the tribes of Israel. 23 And it shall be that in whatever tribe the stranger dwells, there you shall give him his inheritance,” says the Lord God.” (Ezekiel 47:21-23). Pay particular attention to the fact that “strangers” who simply dwelt among the children of Israel, would be given equal shares, equal inheritance with the children of Israel. Those strangers would be counted as “native-born” among the children of Israel. So, here you have a reference to the tribes of Israel and the inheritance – the kingdom inheritance. And you have the explicit command that in the kingdom, the strangers who would dwell among Israel, were to receive fully equal inheritance in the land, no matter where they dwelt among Israel! This is a direct contradiction of Dispensational writers. It is important to realize that in Dispensationalism, it is admitted that Gentiles would be included in the kingdom, but, not as equals with Israel! In fact, this is a critical element of Dispensationalism. Pentecost wrote that the church itself was the mystery, unknown in the OT. “The fact that God was going to form Jews and Gentiles alike in one body was never revealed in the Old Testament and forms the mystery of which Paul speaks in Ephesians 3:1-7; Romans 16:25-27; Colossians 1:26-29. This whole mystery program was not revealed until after the rejection of Christ by Israel.” (Dwight Pentecost, Things to Come, (Grand Rapids, Zondervan, 1980)201. “Gentiles will be the servants of Israel during that age.” (1980, 508). 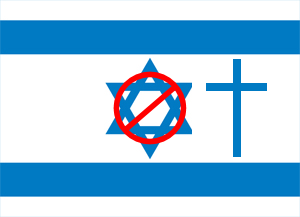 He added: “the distinction of Israel from the Gentiles will again be resumed” (P. 519). He evidently realized the problem with the fact that Christ died to break down the Jew / Gentile barrier, and the claim that the restoration of the distinction in the Millennium has severe implication: “Objection is sometimes raised that God has forever broken down the barrier that separates Jew and Gentile and makes them one. This view arises from the failure to realize that this is God’s purpose for the present age, but has no reference to God’s program in the millennial age” (P. 528). Charles Ryrie, concurred with Pentecost’s view of Gentiles in the Millennial kingdom: “The OT does predict Gentile blessing for the millennial period (Isaiah 61:5-6; 2:1-4), but, the specific blessings do not include equality with the Jews as is true today in the Body of Christ. Great blessing is promised to Gentiles in the predictions of the Old Testament, but not on the basis of equality of position with the Jews. This equality is the point of the mystery revealed to the apostles and prophets in the New Testament times.” He also says the church was unknown in the OT: “It was something unknown in the Old Testament times; it is a distinct entity in the present age” (p. 135). (Charles Ryrie, Dispensationalism Today, Chicago, Moody Press, 1965)134. So, while Dispensationalists deny that the Mystery of God was foretold in the OT, not only do the NT writers deny that, but, the OT is explicit in predicting that in the kingdom, the Gentiles would be equal partakers in the kingdom inheritance!